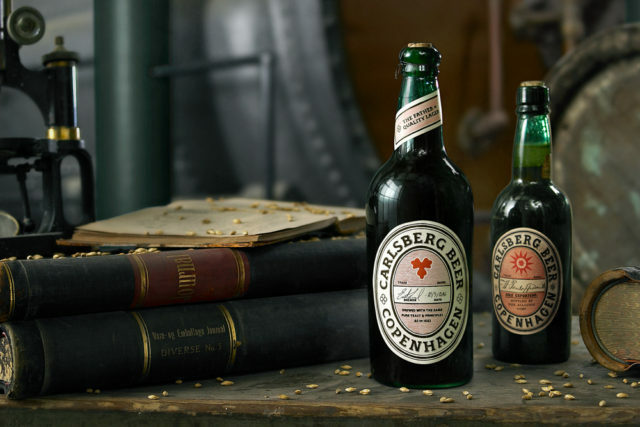 Carlsberg has rebrewed its original lager from 1883, the beer that is considered the father of most modern-day lagers. The 133-year-old beer utilised original pure yeast, revolutionising the world’s beer brewing. Back then, brewing beer was an unpredictable process that resulted in undrinkable beer due to the widespread phenomenon called ‘beer sickness’. Carlsberg’s discovery of pure yeast made it possible to make quality beer from every brew. To help combat beer sickness, Carlsberg gave the pure yeast away to brewers for free. Most of today’s modern lager beers across the globe originated from that pure yeast discovery. The 5.8% ABV lager has a light caramel sweetness balanced with a smooth bitterness. Incredibly rare, only 400 750ml bottles of the rebrew are available in Australia. Carlsberg Australian brand manager Marcela Whelan said, “This brew is an amazing sip of history. To think the green bottle beer that is so recognisable today first came from the discovery of pure yeast in a science lab more than 130 years ago. The Carlsberg re-brew is not available for purchase.